It may seem obvious that you need to pave the way for the next generation, but recent research suggests few businesses make the effort to effectively integrate new leaders. Between 30-50% of newly appointed leaders leave their jobs within 18 months of being hired. There are several factors that contribute to this high departure rate. Yet the greatest influence on whether a new leader stays and succeeds, or fails and leaves, is his or her experiences and actions during the first 90 days in the position. By preparing your son or daughter to take on your role, you smooth the transition and help ensure the continued vitality of your family business. Make a plan — It isn’t so much the plan itself that determines how well you integrate your new leader as the thought you put into developing it. Since those first 90 days are critical, think about what must happen to make sure the new leader fully understands your business, your organization’s culture, and the influential individuals in and outside of your business. Consider keeping track of the major decisions you typically make and the key people you frequently interact with in the course of a month. Make plans to familiarize your successor with them, and think about ways that he or she can earn trust or approval by demonstrating a strong grasp of your business, culture and major stakeholders. For example, if you are currently the company’s main spokesperson with industry partners, find an opportunity for your successor to make a presentation or speak with authority on an important industry issue. It will prove vital in establishing your successor’s credibility among those individuals whose support will determine his or her success. If you need assistance, seek out a qualified HR advisory firm that provides formal integration or onboarding services. things down. The new leader will also need to build external relationships with your primary clients, partners and advisors. Once you identify these relationships, consider ways your new leader can achieve a quick and decisive win among these audiences. For example, have your son announce highly anticipated new product features, or introduce a new pricing strategy. If your son or daughter has worked in your business for years, you probably assume he or she has already established the necessary relationships to succeed. That may not be the case. Your daughter might have built connections with your top clients in her role as Vice President of Sales, but the nature of those relationships would be different from the type of relationships you’ve developed. These clients will have dealt with her knowing, or assuming, that the buck stopped with you. To shift those perceptions, consider formally introducing your new leader to key stakeholders, detailing how he or she will guide your company going forward. This way, you demonstrate your support and confidence in your new leader and help her or him transition these relationships. Set clear expectations — It took you 20 or 30 years to achieve your current level of knowledge and success as leader of your family business; is it fair to expect your son or daughter will match your level of competence or accomplishments in just a few weeks? One of the most important factors in integrating a new leader is to set clear and realistic expectations for essential milestones or achievements in his or her first month, six months and year. This not only helps stakeholders gauge whether things are going as planned, it will also give your new leader direction on where to invest his or her energy in those critical first months. Reasonable, measurable results are important in establishing expectations, but you should also consider the quality of relationships the leader maintains inside and outside the business, particularly in the family unit. For many family business owners, the most important personal objective is ensuring that the family stays intact as the business carries on. By focusing attention on the impacts of succession on family relationships, you will be better prepared to meet both your business and personal goals. 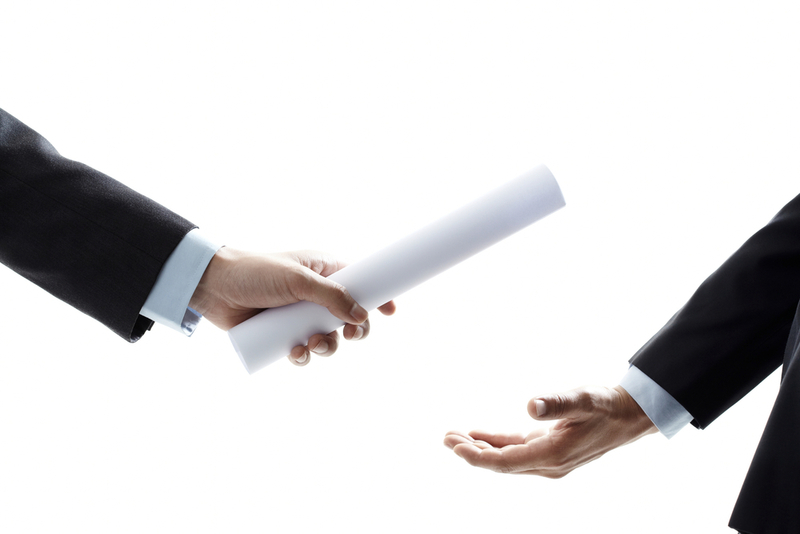 You’ve probably spent months, if not years, setting out your family business succession plans, and selecting the son or daughter best qualified to take the helm. Taking time to plan for your new leader’s critical early days starts him or her off right and increases the likelihood of success in filling your shoes. It will also facilitate continued growth in your business and good relationships among your family members. Anna Stuart and Joe Moore are both Partners at Knightsbridge Robertson Surrette, Atlantic Canada’s leading integrated human capital solutions provider. Anna has provided recruitment, strategic and operational advisory services to governments, industries and family businesses throughout Atlantic Canada. Joe has been providing career guidance, financial counselling and retirement planning advice to Knightsbridge Robertson Surrette clients for over a decade.